Medinea [ MEDiterranean INcubator of Emerging Artists ] founded and driven by the Festival d’Aix-en-Provence, supports the professional integration of young Mediterranean musicians, by developing intercultural projects that enhance dialogue, transmission, and mobility around the Mediterranean basin. The network consists of cultural organizations of the music sector engaged in the dynamics of exchange and collaboration at the international level. They include higher education institutions, cultural centers, festivals, and music markets. The Higher Institute of Music of Sfax was founded in 1999 following the decree n° 559 of 1999 adopted in the 8th of March 1999 in the Tunisian Official Journal n° 24 of the 23rd of March 1999. This great event can be considered as one among the most important leading decisions witnessed by Tunisia in the new era. A time that has fixed the principle of diversification in academia specialties under a whole national project that seeks to ensure a bigger number of different sections and departments which can satisfy students’ and researchers’ choices as well as marketplace requirements. The Higher Institute of Music of Sfax, is a high education institution that has an organized administrative body working in conformity with a scientific program which sets goals for long and short terms and in coordination with music and musicology teachers. The main aim of the Institution’s administrative body and educational staff is to advance the field of music and musicology and to form a Tunisian young generation on the basis of theoretical and applied scientific programs found in and followed by developed countries. Children who have nine year old could apply at the Institute till they obtain the General Secondary Certificate. Then they enroll in the High stage (university stage), most of them continue studying till they obtain the Master and the Doctorate. 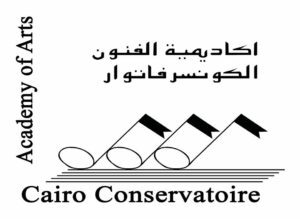 The Cairo Conservatoire has a unit at Alexandria. To encourage the diversity, specificity and vibrancy of egypt cultural scene as a strategy to counter cultural uniformity, consumerism and an increasing intolerance for the marginal. To contribute to dialogue among people from different cultures through an intense process of artistic workshop and production. To participate in safeguarding egyptian cultural memory by researching and documenting its intangible cultural heritage and by encouraging the re-establishment of popular traditions and social festivals. To present egyptian oral and traditional arts as they are now, rarely, practiced, to a wide audience. Since its foundation in 1926 by Greek national composer Manolis Kalomiris, the National Conservatory has been a leading institution for music education in Greece. True to its mission, it has been actively spreading and making accessible the study of classical music to the popular masses. To this end many branches of the National Conservatory were established across Greece and Cyprus. The main aim of the National Conservatory is to provide general music education to students of different ages and levels and to train artists in all specific branches of instrumental and vocal music, as well as in theory. Furthermore its objective is to prepare and promote the career of soloists, music teachers and composers. Its particular contribution is the continuity of its cultural heritage in combining the study and promotion of classical music alongside Greek traditional and Byzantine music. Τhe National Conservatory actively participates in the cultural development and artistic life of Greece, through the production of musical projects and of various educational initiatives. Head of the National Conservatory is Hara Kalomiri, who is also a piano teacher and the artistic direction is under composer Periklis Koukos. The long-term experience of the National Conservatory of Athens in music education can serve the platform in various ways. Beside its standard curriculum courses, the institution can organize and execute live and/or online courses of advanced music theory and composition, provide master classes in different classical musical disciplines or work on alternative artistic projects that emphasize interdisciplinary communication. • Explore possibilities to further promote music education for soloist as well as groups in the different Mediterranean music genres. The beginnings of the Faculty of Music (FM) dates on January 15, 1962, with the opening of the State Conservatory of Tirana. Four years later, in 1966, from the merger of the three independent art colleges, Alexander Moses Drama schools (1959) and the Visual Arts (1959), the Conservatory was included in the High Institute of Arts as one of its three branches. Despite this status, the Department of Music at the Institute of Arts, as well as two others, acted as an independent subsidiary. In 1989, the three branches of the Higher Institute of Arts became faculties, while maintaining the quality even after 1991 when the ILA was named the Academy of Arts, and later on known as the University of Arts. Faculty of Music has about 388 students, 78 effective pedagogues and offers 20 study programs and diplomas. Since 2008 the Faculty of Music has adapted the new university structure (according to the Bologna Card system) with two learning cycles (3 + 2 academic years). Music Faculty develops an active artistic life based on programmed calendar which is divided in two concert seasons with participation of students and teachers. Concerts are held in the great hall of the University of Arts almost every week of the academic year. This includes concerts performed by students of the composition class. Besides various chamber music formations, FM has symphony orchestras, wind orchestra, string orchestra that besides the compulsory learning plan they hold concerts scheduled in concert seasons, also opera and choral classes too. FM learning environments are concentrated in the main building of the University of Arts, where the office of the secretary of this faculty is placed, there is also a building placed at the rear of the University, equipped with a number of small studios, classes as well as with the University of Arts central auditorium. Besides the large concert hall in the central building of the Faculty, Çesk Zadeja Hall is placed, it serves mainly as orchestras working environment for chamber music concerts but also for the development of seminar, workshops, etc. Another very important work environment is also the Multimedia Hall which is located in the rear building of the University of Arts, at the premises of the Library. University of Zagreb Academy of Music is the largest and oldest higher musical institution in Croatia. It is the direct successor of the Croatian Music Institute music school which was founded in 1829. At the turn of the 20th century the school became the conservatory, and in 1921 it was renamed to Royal Academy of Music. It has been a constituent unit of the University of Zagreb since 1979. Many renowned artists and educators have studied and worked at the Academy of Music in Zagreb. Through their efforts at home and abroad they have confirmed and strengthened the reputation of the Academy and its high level of excellence in music education. Studies at the Academy of Music are organized in eight departments, each presented here with their respective study programmes and competences acquired through them. There are currently 115 permanently employed professors at the Academy, who, together with a large number of associates, teach 580 students. More than 300 concerts, productions and events performed in its premises, and in other concert halls in Zagreb, throughout the academic year, testify to a high level of excellence and quality of education at the Academy of Music. Two concerts organized in association with the Vatroslav Lisinski concert hall are of particular note. Academy of Music students have been performing for years as soloists with the Zagreb Philharmonic orchestra, and have acquired their first professional experience playing in the concert cycles of the Philharmonic. As of academic year 2015/2016, as a part of its collaboration with the Croatian National Theatre, the Academy will be preparing an opera premiere for each season. Moreover, another smaller opera project is under way in collaboration with the Small Stage Theatre (Mala scena). Student concert cycle Virtuoso, as well as numerous other student productions – choirs, chamber ensembles and orchestra performances – enrich each academic year. Academy of Music is striving towards becoming the leading institution in the region and set high standards in all segments in the field of higher music education. Our goal is to become a music center with international reputation that will be recognized as a desirable destination for study and work by students and professors from around the world. The values on which we wish to build this vision are high artistic and pedagogical quality of the teaching staff, development and innovation of study programs and the development of professional competencies of our graduates. By ensuring the continuity and development of musical art Academy wants to create artistic and intellectual elite of young musicians who will, through their public activity, influence the development of culture and art thus benefiting the community. The Edward Said National Conservatory of Music is built around an ambitious vision of having a lively and creative musical culture in every Palestinian home. Over a thousand students currently study on the regular programme of either Arabic or Western music in the ESNCM’s six branches in Jerusalem, Nablus, Gaza, Ramallah, Bethlehem and Beyt Sahour. The ESNCM aspires to open branches in all the Palestinian governorates. Additionally the ESNCM is committed to its Outreach Programme, which aims to provide a musical experience to marginalised communities, including the refugee camps of Shu’afat and Daheisha, and singing programmes in Jerusalem and Gaza. In addition to internal ensembles, including Arabic Music “takht” groups, classical chamber groups, orchestras and jazz bands, the ESNCM runs two flagship orchestras whose members come from the Palestinian community worldwide, the Palestine Youth Orchestra and the Palestine National Orchestra, who have performed nationally and internationally to great acclaim. 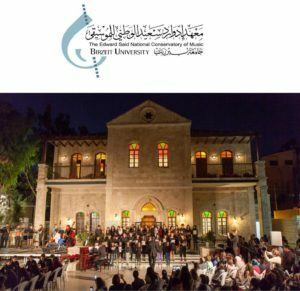 The ESNCM is also responsible for running the biennial Palestine National Music Competition, which aims to motivate and reward young Palestinian talent, and also for the publishing of educational material for music students, including theory textbooks, song collections, and collections of Arabic instrumental pieces. Aside for education, other essential elements are audience building and investment in cultural infrastructure in Palestine. The Conservatory annually runs five major music festivals across the country, as well special events which attract a wide audience. Part of audience building is through the ESNCM’s CD productions, and the new Ramallah branch includes a state-of-the-art recording studio. At the heart of the ESNCM philosophy is the belief that musical education, underpinned by the permeation of quality music throughout Palestinian society, and supported by appropriate cultural infrastructure, bolsters and invigorates Palestinian identity and culture. The Conservatoire counts today about 5400 students and has fourteen branches.Four in Beirut, one in Jounieh, one in each of Dhour-el-Choueir, Ain-Saadeh, Zahle, Saida. Aley, Baakline, Batroun, Tripoli and Choueifat, Zghorta. The Conservatoire opened, in the year 2000 a section in the prison of Roumieh. The role of the Conservatory in the Lebanese society and amongst its people has been of great importance since its creation in the 1920ies. A leader in the field of musical education it has promoted cultural life to a great extent, offered concerts of great composers with an orchestra created by the teachers in the beginnings, and it reached its present momentum with the creation of the two National Orchestras. The Lebanese National Symphony Orchestra was created in 2000 and became the Lebanese Philharmonic Orchestra in 2010 and the Lebanese National Orchestra for Oriental Arabic Music created in July 2000. As a pursuit of educational purposes the Conservatoire also functions as a National Archive and Research Center for Music. The Conservatoire saw the creation of Musical Ensembles for Students, Western Music Ensembles and Oriental Arabic Ensembles. The Conservatoire presents around 70 concerts yearly performed by the Lebanese Philharmonic Orchestra, The Oriental Arabic Orchestra, The Jazz Big Band, and different ensembles of Chamber music. 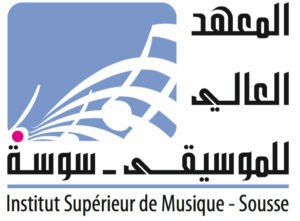 The Higher Institute of Music of Sousse is a public organization with an administrative Character and financial autonomy. It is one of the 17 Higher institutions that belong to the University of Sousse and relevant to the Ministry of Higher Education and scientific research . Founded under the decree “ nbr 559-99” of March 08, 1999. The Amwaj choir school, established in Hebron and Bethlehem since 2015, is Palestine’s first example of an institution where music education is offered through an intensive and collective approach based on choir singing. Amwaj (Waves, in Arabic) counts 60 children (girls and boys aged 7 to 17), who are selected exclusively upon their commitment to attend eight weekly hours of courses and activities throughout the year. The children of Amwaj perform regularly in Palestine, alongside a broad spectrum of local and international artists. Since prestigious intercultural partnerships are central to the choir’s activities, Amwaj has had its first international tour in the summer of 2018, with concerts in France in partnership with Demos (Philharmonie de Paris), Petits Chanteurs de Lyon, Chanteurs de Finoreille and the Chœur d’Enfants de l’Orchestre de Paris. Amwaj is represented at MEDINEA by its General Director, Michele Cantoni. Conceived since 2015, the Palestine Philharmonie is intended as source of a wide scope of cultural activities throughout Palestine, reaching out to the whole country and beyond. It proposes intercultural concert seasons alongside varied interdisciplinary activities revolving around the artistic ones (educational programs, workshops, lectures, exhibitions, artist residencies, film screenings, etc. ), featuring local artists and engaging a dialogue with artists from throughout the world. The Philharmonie reaches out to multiple audiences and to their expectations, through mediation activities aimed at offering a key to cultural discovery. The Palestine Philharmonie is represented at Medinea by its General Director, Michele Cantoni. The Academy of Music of the University of Ljubljana (UL AG) is the only Slovenian higher learning university institution for the entire ﬁeld of music, and as such it has a national signiﬁcance for the development of Slovenian music composition, performance and education ﬁelds. The basic mission of the UL AG is oﬀering bachelor’s, master’s and doctoral university learning programmes as well as oﬀering further education and permanent education programmes for musical arts and music education professions. In addition, the UL AG promotes music performance and composition, as these are immediately connected with music education. In collaboration with other members of the University of Ljubljana, the UL AG conducts and develops research activity in the ﬁelds of humanities and social sciences and endeavours to promote artistic research. With its work, the UL AG promotes the development of the Slovenian music ﬁeld, making it comparable with Europe and the rest of the World. The International Cultural Center of Hammamet (CCIH) under the supervision of the Tunisian Ministry of Cultural Affairs, consists of a field of ten hectares – a monument listed in the historic heritage of Tunisia in 2001 – with several spaces offering various cultural activities. As part of its regular activities, the CCIH participates in the production or co-production of theatrical works, ballets, art exhibitions and musical performances. The CCIH welcomes writers, artists for creative stays and helps to organize seminars and national and international cultural courses. The CCIH, as well as the outdoor theatre it hosts, has been open to the audience since 1964. Each year since 1964, the Hammamet International Festival is held in July and August, presenting jazz concerts, theatrical performances, ballets and variety shows. ESML belongs to Instituto Politécnico de Lisboa, a leading applied science university in Portugal. With over 600 students in undergraduate and graduate studies, it offers degrees in Music (orchestral instruments, piano, organ, guitar, ancient music, singing, opera studio, jazz, composition, orchestra and choral conducting, music education), Music Technology, Music in the Community and Music Teaching. It offers 2 doctoral programmes in association with 2 universities in Lisboa, Universidade Nova de Lisboa (UNL) and Universidade de Lisboa (UL). It is installed in a modern building, which include an auditorium of 400 seats and studio facilities. ESML has a very intense activity throughout the academic year, producing concerts, masterclasses, and workshops, both at the school’s facilities and outside. Being a partner with many of the cultural institutions in Lisboa and elsewhere in Portugal, its musical community of students, teachers and different ensembles are regularly presented in venues such as Teatro São Luiz, Centro Cultural de Belém, Gulbenkian Foundation, among others. Apart from the musical creation process, ESML is deeply involved with all aspects of music research, both formal/academic and informal or practice-based, leading to the production of specific artistic projects and its recording (video/audio), allowing for, and promoting a written reflection on all aspects of modern musical creation. Established through a Royal Napoleonic Decree in 1807 by Eugène de Beauharnais, Viceroy of Italy, the Conservatorio “G. Verdi” di Milano boasts more than two hundred years of history. It was inaugurated on 3 September 1808 and since then its headquarters have been located in the historic former convent beside the Church of Santa Maria della Passione. The Conservatorio has always been one of the most important institutions for the study of music, acclaimed nationally and internationally. Nowadays it is active part of the University System of Higher Education in Art and Music, which is headed by the Ministry for Education, University and Research. The Conservatorio “G. Verdi” di Milano trains talented young artists who want to make music their profession. It is active all year round, inviting the students to perform as soloists or in chamber groups on the occasion of concerts, which often also involve teachers; the tangible outcome of this work is represented by more than 200 concerts a year. The Conservatorio has its own Symphony Orchestra and the VJO-Verdi Jazz Orchestra entirely composed of students. The Symphony Orchestra is conducted by prominent artists such as Tito Ceccherini, Daniele Gatti, Gianandrea Noseda, Corrado Rovaris, Daniele Rustioni, Yoichi Sugiyama and Michele Gamba, all former students of the Verdi in Milan. Moreover the students of composition have the opportunity to hear their own compositions being performed by professional ensembles and orchestras. In order to ensure the health and wellbeing of students, there is a working physiotherapy studio and a protocol has been organised for the welfare of the musicians. Public Institution Montenegrin Music Centre, based in Podgorica, is the main carrier of musical life in the country. It was established in 2006, and by its founding act it integrates all vital segments of the national music culture such as: symphony orchestra, national orchestra, concert agency and music-information centre. Activities of Montenegrin Music Center imply organization and realization of concerts of various music genres, musical theatre settings, as well as promotion of Montenegrin musician’s creative work and performance, and preservation of national music heritage. The institution has its publishing sector and organizes various courses for all educational levels. Complementary activities within MMC are planned to include shop of music instruments, music books and CDs, as well as instrument repair service. Through diverse projects, Montenegrin Music Centre develops and realizes cooperation with similar international entities. MIAM is a music research center and music graduate school program of ITU established in 1999. The aim of the institution is to provide a contemporary academic, scientific, and artistic study platform in the area of music, to offer an international-level education with instructors from different countries, and to foster interdisciplinary studies via national and international projects. Academic staff at MIAM comprises of 2 professors, 9 associate professors and 16 instructors from different concentration areas of music. Currently 73 Ph.D. students and 141 masters students from various disciplines in music study at MIAM which has one big and two medium concert halls, a large music library with printed and audiovisual materials, and a state-of-the-art professional music recording studio. MIAM organizes several workshops, concerts, seminars, recitals, and international/national conferences with student participation under the tutelage of academic staff and MIAM directorate. Some of these events such as conferences have been materialized in partnership with other institutions. The events are held in order to improve the students’ fund of knowledge, to provide experience with active participation of the students, and to reveal their creativity and potential. ARC Research and Consultancy services creation, practice, and production within the creative and cultural sectors. ARC aims to promote development and sustainability of these specific sectors through collaboration, research, and synergies with local, regional, national, and international entities. 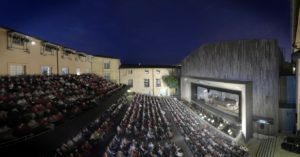 The Festival d’Aix has proposed, since 1948, a yearly programme of great diversity comprising lyrical productions, major musical productions, chamber operas and concerts. The Festival d’Aix opens up new horizons in the fields of artistic creation and encourages the development of new talents thanks to its Academy. Since 1998, the Academy has been a reference centre for perfecting vocal and instrumental skills, a workshop for discussion and experimentation around the creation of opera and a place for young artists to develop professionally. Through training in voice, chamber music, creation, orchestra and public outreach, the Academy supports the values of sharing, development and cultural enrichment through all of its programmes. The Festival d’Aix organises many mediation actions towards distant audiences via Passerelles, its educational and social-artistic department. Through the networks of enoa (European Network of Opera Academies) and Medinea (Mediterranean Incubator of Emerging Artists), the Academy promotes the mobility of young artists within the Euro-Mediterranean area throughout the year, in order to foster artistic and cultural meetings and encourage movement of the young artists. The Festival is also an active member of the cultural networks Opera Europa, RESEO and The Opera Platform. EMN is a non-profit organization created in 1987 and since then has been involved in different sectors of culture and living arts, from dance to classical music and jazz, but also opera, early music and traditional polyphonic music and also focusing on rediscovering and preserving traditional music from around the Mediterranean. Since 1989, EMN has yearly organized the Nuoro Jazz International Festival, and its workshops, which are among the most important festivals in Italy and Europe. Paolo Fresu started Nuoro Jazz and has been artistic director for 25 years, Roberto Cipelli took over from him on 2013. Each year, more than 160 students from all over Europe participate in winter and summer jazz training, in cooperation with local schools and cultural organisations, and international and Italian institutions of higher education. Teachers are among the best jazz musicians of the italian scene, and every year international artists are called upon to keep masterclasses and special events. Casa Árabe was established in 2007 as a strategic center for Spain’s relations with the Arab world, a meeting point where different role-players and institutions, both private and public can dialogue and interact from the worlds of music, cine, arts, literature, etc but also business, education and politics. The program of activities takes places in the two headquarters of Casa Árabe, one located in Madrid and the other in Cordoba, which embodies a very strong symbolic relevance due the city´s importance in the historical context of Al Ándalus. The institution’s ultimate goals are, spreading knowledge of the plural and varied contemporary Arab cultures, support the cultural agents form the Arab world to give visibility and voice to their production, channelling inter-cultural dialogue and providing analysis and mediating in the socio-political changes which are affecting Arab and Muslim countries. Founded by Pianist/Composer Ghassan Yammine, Ecole des Arts Ghassan Yammine has 6 branches in different areas in Lebanon with the following departments: Music (classical, modern, oriental, music production, DJ, sound engineering), Actor’s School, Painting, Photography, Dance. It has international affiliations with prestigious institutions from Europe and USA: Royal Birmingham Conservatoire (Birmingham University), Ecole Normale Supérieure de Musique de Paris, Conservatoire de Lyon and Carnegie Hall. Ecole des Arts is member of 3 international federations : AEC (Association Européenne des Conservatoires Supérieurs), FFEA (Fédération Française de l’Enseigenement Artistique) and medinea (MEDiterranean Incubator of Emerging Artists). The Joven Orquesta Nacional de España (JONDE) belongs to the National Institute of Peforming Arts and Music (INAEM), an institution that is part of the Spanish Ministry of Education, Culture and Sports. It was created in 1983 in order to contribute to the most advanced training of Spanish musicians before they become full professionals. It aims mainly at the development of their studies through the practice of the symphonic and chamber music repertoires 6 times a year. The members of the JONDE are selected through auditions (twice a year), and remain in the orchestra until the age of 23. They are coached by a team of professors of a high artistic standard selected from the best European orchestras. All the working sessions end with tours which have brought the orchestra all over Spain and currently once a year abroad. The orchestra dedicates special attention to contemporary music through its Academy of Contemporary Music. The JONDE has worked with important soloists including Mstislav Rostropovich, Agustín León Ara, Rafael Orozco, Christian Zacharias, John Williams, Deszö Ranki, Teresa Berganza, María Bayo, Simon Estes or Juan Diego Flórez. It has worked with conductors like Carlo Maria Giulini, Gunther Schuller, Jakov Kreizberg, Fabio Biondi, Reinbert de Leeuw, Vasily Petrenko, Krysztof Penderecki, Christian Zacharias, Paul Goodwin, Lutz Köhler, Gianandrea Noseda, Christopher Hogwood, Edmon Colomer, Jesús López Cobos, Josep Pons, Antoni Ros Marbá, Víctor Pablo, Rafael Frühbeck de Burgos, Bruno Aprea, Pablo González, Alberto Zedda, Lorenzo Viotti, Peter Rundel or George Pehlivanian. Although the orchestra maintains its main activity in Spain, the tournées abroad are frequent. We can quote the following: Belgium, Russia, Ukraine and Estonia, Hungary, France, USA, Italy, United Kingdom, Portugal, Luxemburg, The Netherlands, Germany, Austria, Venezuela and the Dominican Republic, performing in venues like the Théatre des Champs Elysées, Saint Petersburg Philharmonic, Carnegie Hall, Royal Albert Hall, Concertgebouw in Amsterdam, Schauspielhaus am Gendarmenmarkt and the Berlin Philharmonic or the Radio Kulturhaus in Vienna. It has participated among others, in the following international festivals: BBC Proms, Aberdeen International Youth Festival, Chester Summer Music Festival, Expo Lisbon ’98, Robecco Zomerconzerten (Amsterdam), Musikfestpiele Saarbrücken, World Expo Hannover, Festival Young. Euro.Classic in Berlin, Schleswig-Holstein Musik Festival, Festspiele Mecklenburg-Vorpommern, Opernfestspiele Schloss Weikersheim, Festival Kultursommer Nordhessen (Germany), Touquet International Music Masters (France) or the Festival Spain-Venezuela in Caracas. The Foundation BBVA collaborates with the JONDE/INAEM through the JONDE-Fundación BBVA sholarships to help improve the technical and performing skills and the chamber music experience of its musicians in Spain and abroad. It participates regularly in exchange programmes with other countries, specially through the European Federation of National Youth Orchestras (EFNYO) and also via other Latin American “sistemas” of youth orchestras. The JONDE’s repertoire includes the most representative titles from the baroque, classical, romantic, post-romantic music, and it pays special attention to contemporary music, both chamber and symphonic, and recording of CD´s and DVD´s are frequent. Since 2001 its artistic director is the composer José Luis Turina. The Department aims at cultivating and developing students? technical skills and capabilities to perform instrumental and vocal Western music, as well as Byzantine and traditional Greek music. Its goal is to enhance and promote the science and art of Western, Byzantine, and traditional Greek music (as they evolved) from their beginnings to today. According to the 363/20.9.96 Presidential Decree, the Department promotes the formation of various ensembles, like orchestras, choirs, and other instrumental and vocal music ensembles, that will successfully represent Greece in the international music scene at the full spectrum of European, Contemporary, Byzantine and Traditional Greek (Folk) Music. The Department also promotes research study and performance of the traditional Greek and of ecclesiastical music as these have evolved through the ages from antiquity and Byzantine times to today. This project was born from a paradox : on the one hand, the lack of visibility for African and Middle-Eastern artists at an international level and, on the other hand, a very important artistic dynamism and musical creation from these musicians. To fight against this problem, Visa For Music has as first goal to highlight the artistic creation of Africa and the Middle-East, first of all regarding the world music and actual music. After four edition Visa For Music became one of the essential and major meeting places for professionals of the whole music industry, as a sharing platform for the defense and promotion of the musical sector of African and Middle-Eastern countries, with approximately 3200 professionals assisting to the 185 showcases by the 1093 artists. We continue to invite all the professionals who place culture at the very center of their concerns to join Visa For Music’s support network and we hope we can count on your presence among us during this structuring event of the cultural industry, from November 21st to 24th 2018, for the 5th edition of this ambitious project.